1. The problem with Richard Wallace is that we don’t really know much about him. There are no family papers, no letters, no memoirs. We don’t even know for certain that he was illegitimate. We’re pretty sure, but we’ve never found any concrete proof. 2. All we really have is his collection of art. How you interpret it is up for debate, but when you look around this dedicated exhibition you will see his taste was quite specific. 3. For this exhibition, we’ve picked out some highlights from his collection. It seems eclectic—ancient Chinese vases, decorative armoury, snuff boxes, bronze nudes—but they do all have something in common: Wallace liked pieces with provenance. He was particularly keen on those related to important historical figures. 4. While the galleries here are renowned for their French 18th century and Dutch Master paintings, Wallace was interested in medieval art, the Renaissance and—unusually for his time—exotic pieces, too. We have some spectacular gold wine cups, decorated with pearls, precious stones and kingfisher feathers, made for the Qianlong Emperor (pictured top). There are only four of these in the world; we have two. They’re a perfect example of what he loved: the gems, the gold, the exoticism. 5. We have no proof that Wallace knew much about Chinese culture. He just appreciated colourful art with an interesting provenance. It’s for this same reason, we think, that he bought a trophy head from Asante—present day Ghana. 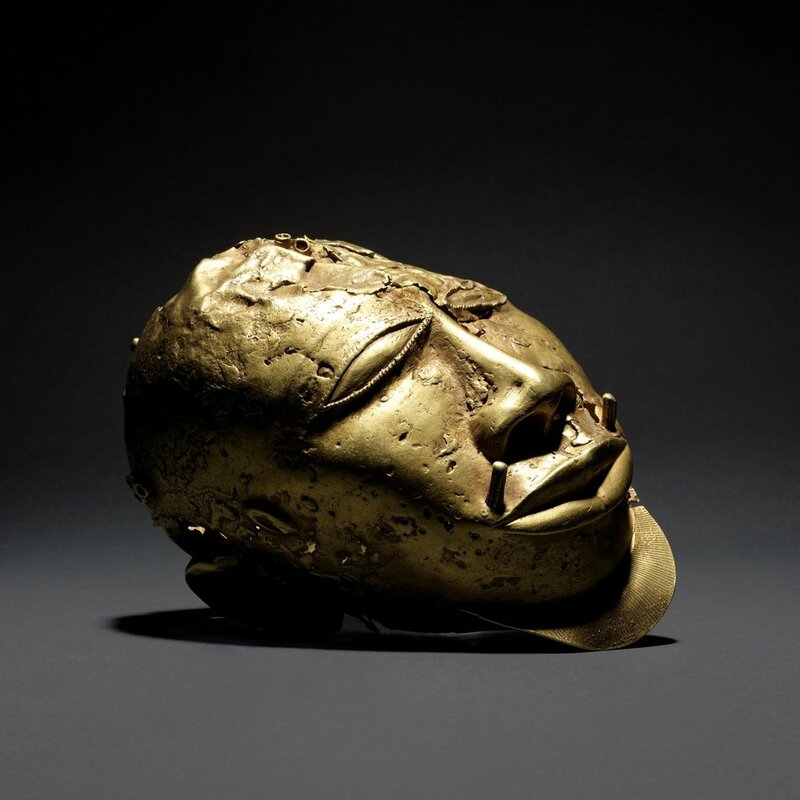 The Asante people controlled extensive gold resources and were renowned for the items they made. This head probably depicts a tribal king—it didn’t matter to Wallace if it was an African king, a Chinese emperor or a member of the European aristocracy, as long as it was a person of importance. 6. Wallace moved to London from Paris in 1872, mainly because England was more stable. Victorian society would not have been easy to integrate, given his status as an illegitimate son with a middle-class wife, but his philanthropy helped him here. 7. Wallace bought a lot of art, but he also gave away a lot of money. He received a Légion d’Honneur for his donations to the needy of Paris during the French Revolution. 8. When Hertford House closed for refurbishment, he allowed Bethnal Green Museum to house his art—all these places in Knightsbridge and Kensington and he chose a poor neighbourhood. Wallace’s philosophy was to make art accessible—and, fantastically, the collection drew two to three million people, many of whom were cabinet makers, who could be inspired by different designs, patterns and prints. 9. One of the most brilliant pieces is a 16th century ‘cabinet of curiosities’, carved out of box wood, which has a very fine grain, allowing a great level of detail. They must have used magnification—there is no other way they could have created something like this. Unsurprisingly, it was one of the pieces Wallace chose to be painted when he had someone paint a selection of his collection. 10. Wallace died in 1890, in Bagatelle, France—and we’re pretty sure it was he who instructed his wife to give his art to the nation. Again, we don’t have proof, but in 1897 she gave the whole collection, together with Hertford House, to the country. It was among the greatest gifts ever made to the nation. There’s nothing comparable.